The nationally acclaimed program, “Guiding the College-Bound Athlete” is coming to Ocean City High School Tuesday September 12th at 7:30pm at the OCHS Library. This program has been designed for student-athletes in Grades 8-12 and their parents/guardians. This program will be presented from the perspective of the parent/guardian of a potential college-bound athlete. Rick Wire, the President of Dynamite Sports, Inc., is considered to be one of the most encouraging and motivational speakers in the country. He is truly an expert in the field of college athletics, scholarships, and the entire recruiting process. The Dynamite Sports system was a direct result of Rick’s experience as a parent going through the recruiting process with his oldest son, Coy. Coy was a 2001 graduate of Stanford University, where he became an All-American in football. In 2002, Coy was drafted by the Buffalo Bills where he played for 6 years, and is now entering his 9th season with the Atlanta Falcons. – How to get RECRUITED. – How to become ACADEMICALLY Eligible for NCAA and/or NAIA athletics. – How to get a SCHOLARSHIP or GRANT for participating in athletics. – How to set up COLLEGE visits. – Why START as early as 9th GRADE! “Guiding the College-Bound Athlete” is geared to our student-athletes who wish to continue their athletic careers in college and beyond. Parents will gain a greater understanding as to their role in the recruitment process. There is no need to RSVP. Attendees will also receive a FREE SAT/ACT Prep DVD valued at $350. 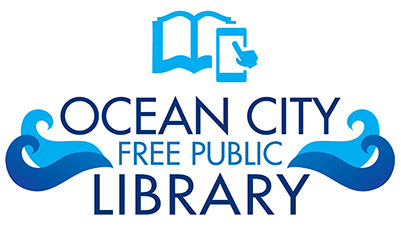 Come out to the Ocean City High School Library on September 12th, 2017 at 7:30PM and get this valuable information!